Ghosn's pay had attracted negative attention earlier as well in Japan, where executives are paid frugally by western standards. The Carlos Ghosn saga at Nissan is as much an instance of maximum corruption stemming from maximum power as of the horrifying lack of internal controls at one of Japan's biggest companies. Two weeks after one of the most celebrated CEOs in the world was arrested over charges of under reporting income, more tales of the messy state of affairs at Nissan Motor are being exposed. One of the startling revelations made by the prosecutors investigating Ghosn, who rescued Nissan Motor from the brink of keeling over two decades ago, was that the Franco-Brazilian executive had near total say on how much he was paid at Nissan and how, Bloomberg reported. The report says that prosecutors believe Ghosn, who is also the boss of French carmaker Renault, may have hidden as much as $70 million worth of salary and benefits. But Ghosn's arrest came at a time when he was working on the merger between Nissan and Renault, something the Japanese company didn't approve of. This gave rise to conspiracy theories that the action against Ghosn may have been motivated. While that maybe a conjecture, the fact remains that Nissan was horribly lagging in the implementation of Japan's corporate governance code. "It all comes back to a lack of internal controls ... If the board genuinely didn't know that the disclosure of his remuneration was inaccurate, that doesn't say much for governance. And if they did know, they should take collective responsibility for the failure," the agency quoted the head of Hong Kong-based Asian Corporate Governance Association as saying. People close to Ghosn have said the fallen executive has denied any wrongdoing, pointing out that certain pay components were uncertain, and hence these were omitted from securities filings. Ghosn is still in detention, and hasn't been given a chance to respond in public. Ghosn's pay had attracted negative attention earlier as well in Japan, where executives are paid frugally by western standards. In 2010 it was revealed that Ghosn's salary was $10 million, a princely sum in Japanese standards. The salary details were revealed when Japan instituted new rules on disclosure of executive compensation. While the growing 'cult of Ghosn' inside Nissan gave him unprecedented powers, the lack of checks and balances made it impossible to identify serious breaches. 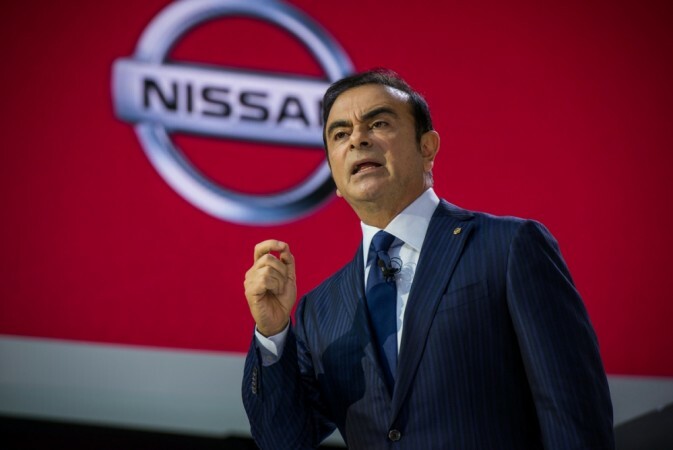 "We had governance in name only," Nissan Chief Executive Officer Hiroto Saikawa said after Ghosn's arrest.